Battery-powered detectors: These types of smoke detectors are easily purchased at a hardware store and run off replaceable batteries. They’re inexpensive and can be installed anywhere in your home, but they require frequent monitoring to make sure the batteries are in working condition. AC-powered: Directly wired into the electricity in your house, these are much longer lasting and dependable but require a battery backup for the event of a power failure or electrical fire. Photoelectric detector: Detects larger particles, like the kind from a larger, more slow-burning fire like a smoldering couch or bedding. 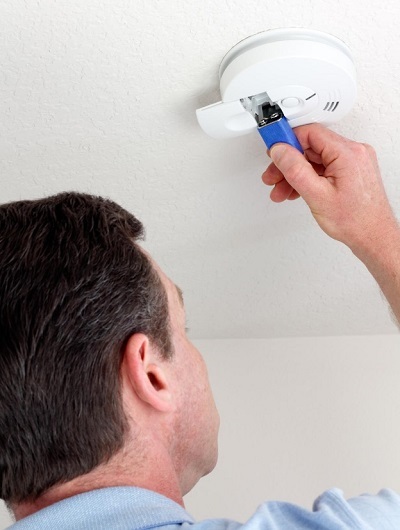 Due to the difference in detection methods, it is recommended that you maintain both types of detectors in your home. Many detectors manufactured and sold today are dual type. If not, they’ll be marked with an I or a P, indicating the type of detector. 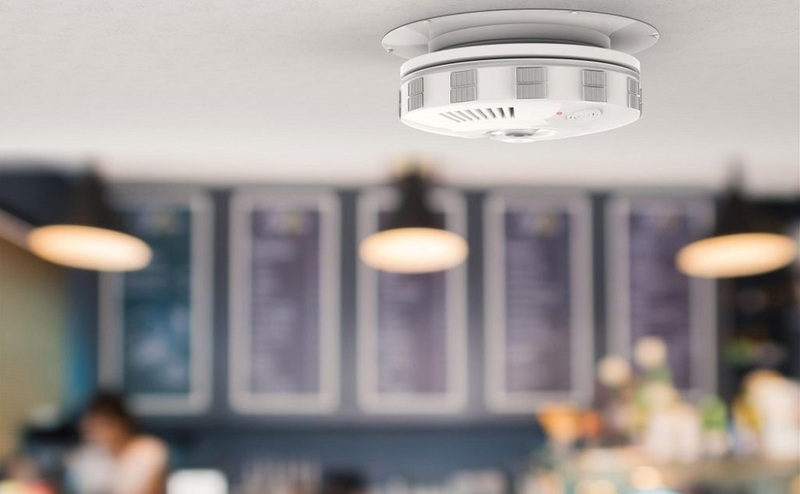 Smoke detectors should be placed on ceilings at least four inches in from the wall, or, in the event the ceiling can’t be reached, on the wall between four and twelve inches away from the ceiling. At least one should be placed on each level of your home, and an additional detector in each room where someone sleeps. Consider installing a linked detector system so that when one trips, they all go off. Every smoke alarm will have a test button. Once a month, every month, get on a chair or use a mop handle to extend your reach and press the test button. You should hear the alarm trip. If not, then it’s time to replace the battery or check the power source in the event that you have a hardwired unit. If your unit is battery powered, it may begin chirping when the batteries begin to run down, alerting you that it’s time to change it. For obvious reasons, it’s best not to let the batteries drain to that level, so it is best to change them every six months. A good way to remember is to make sure you change the batteries whenever you change your clocks for daylight savings time. For more information and help with your smoke detectors, please don’t hesitate to contact your nearest Brinkmann’s True Value hardware store and speak with our friendly and knowledgeable staff.